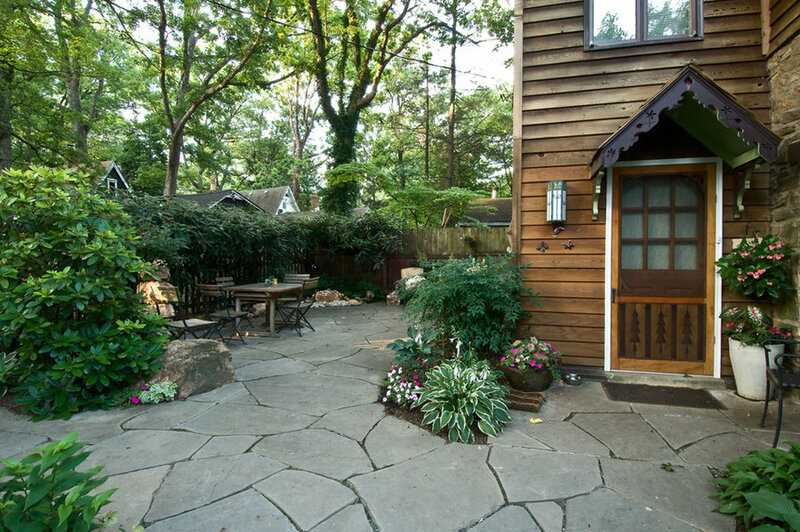 This cedar home is located in a wooded community known for informality and eclecticism. 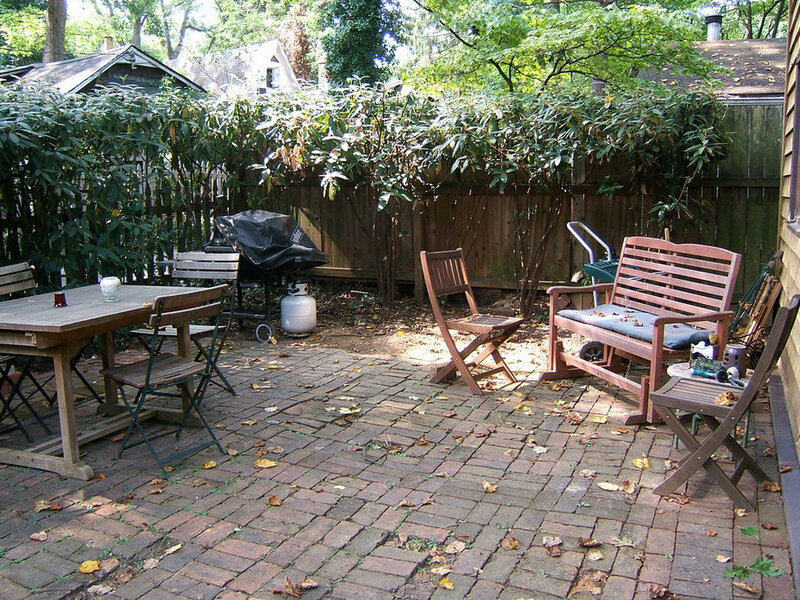 The old brick patio did not reflect the character of the neighborhood. It had also been poorly installed and was intersected with cracked and broken concrete. Plantings were overgrown and needed editing. 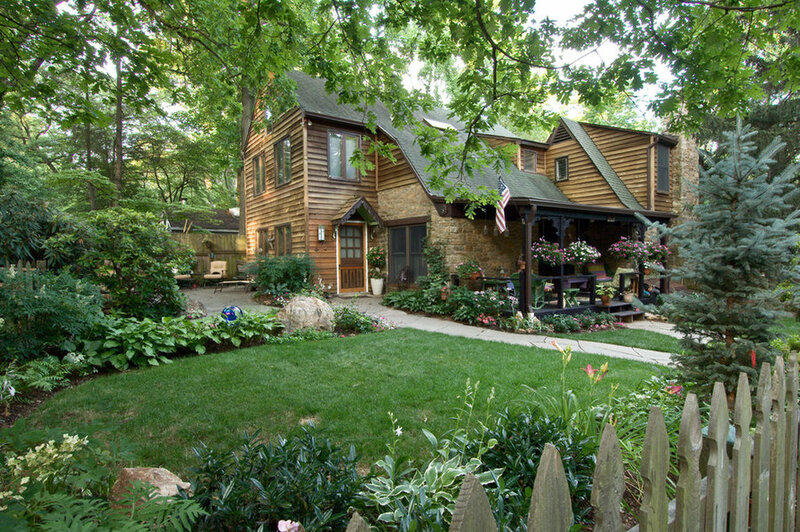 Gardeners live here! 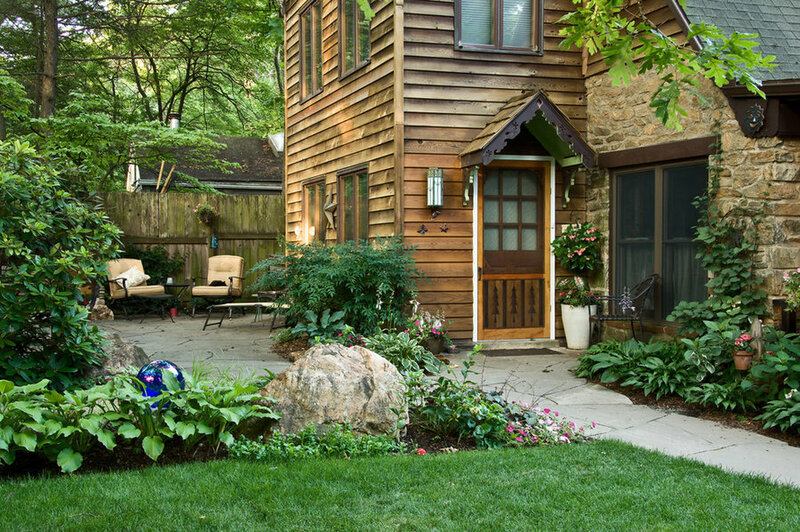 Colorful annuals and perennials as well as Ferns and Hosta thrive in this oak-shaded spot. 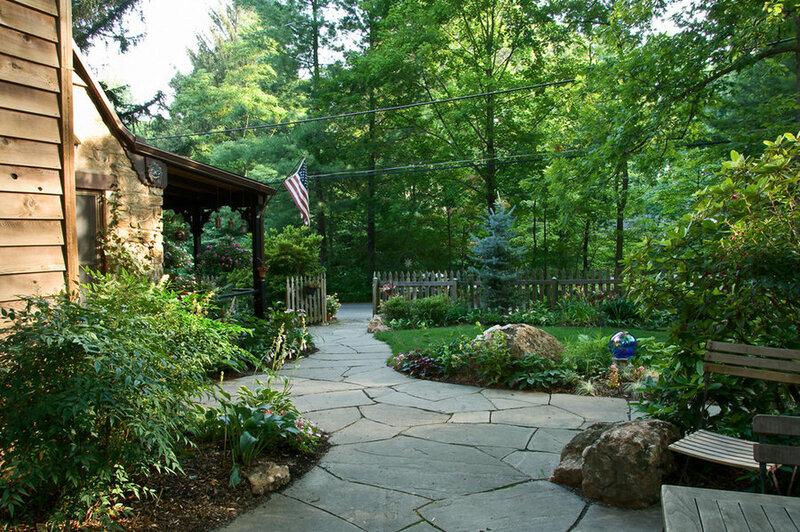 DESIGN: Cathy Carr, APLD Photo and installation by Garden Gate Landscaping, Inc.
Stone, wood, plants. DESIGN: Cathy Carr, APLD Photo and installation by Garden Gate Landscaping, Inc. 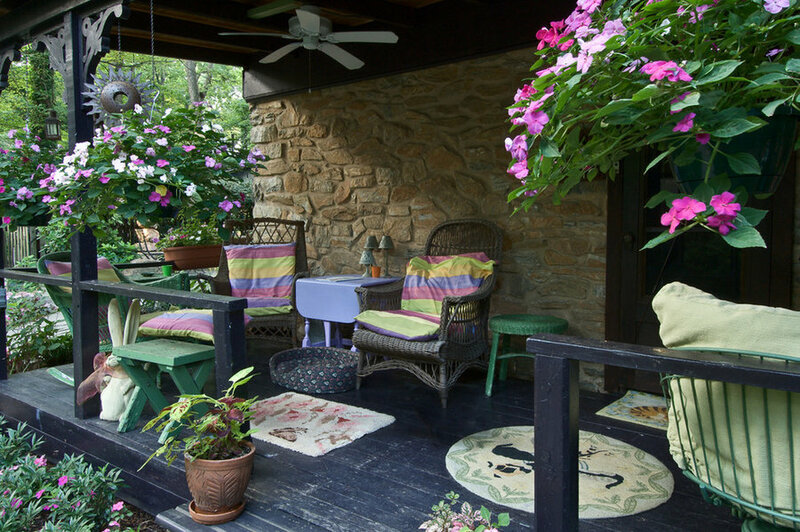 Comfortable Outdoor Living. DESIGN: Cathy Carr, APLD Photo and installation by Garden Gate Landscaping, Inc. Note the low mound of quartz in the rear corner. A water feature was made by drilling into the native Quartz boulder. 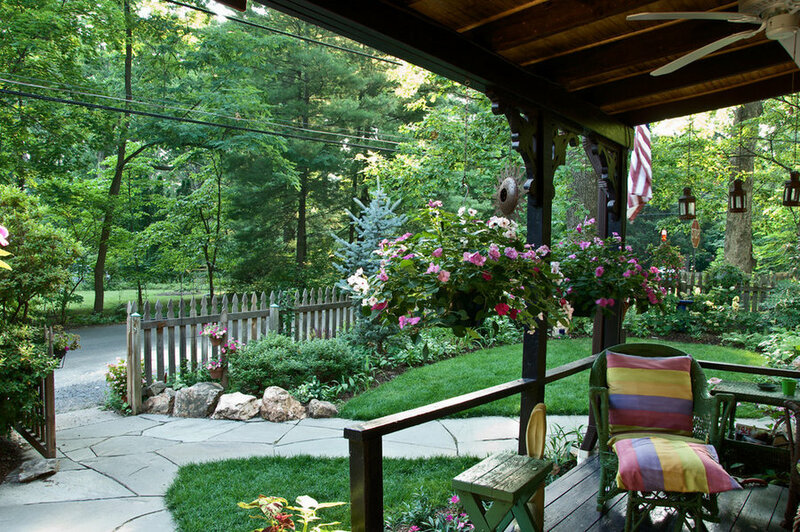 Birds and frogs love the moisture and the homeowners love the trickling sounds. DESIGN: Cathy Carr, APLD Photo and installation by Garden Gate Landscaping, Inc. 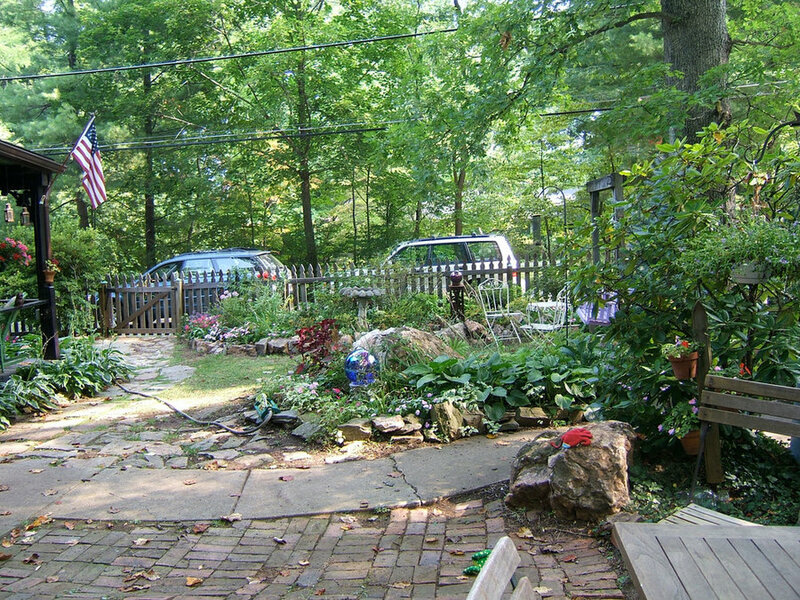 The view from patio to the street. DESIGN: Cathy Carr, APLD Photo and installation by Garden Gate Landscaping, Inc.
More quartz excavated during construction is used as bed edging. DESIGN: Cathy Carr, APLD Photo and installation by Garden Gate Landscaping, Inc.